Clean, non-toxic, non-oily and bleedproof therapy putty leaves no colour or residue on the client’s hands. It will not fragment, separate or stick to the skin. 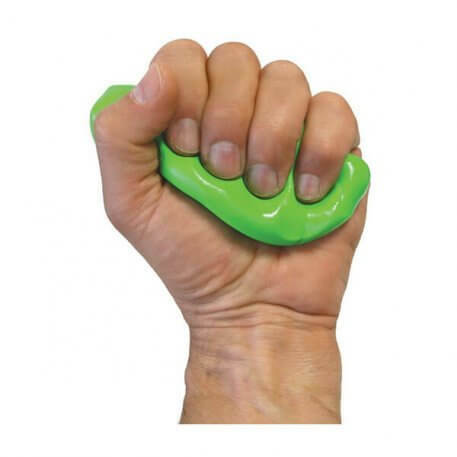 This tub of Green coloured Therapy Putty provides a medium resistance level for hand exercise.